Use Twitter With Precision, Power And An All-In-One View. 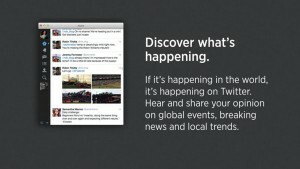 TweetDeck for Mac is a slick cross platform Twitter client developed by the makers of Twitter. It presents a more organized way to manage your Twitter account in a three-column interface that gives you far more space to breathe. More recently, a sidebar has been added to make navigation in TweetDeck even easier. You can divide columns into different categories such as tweets, direct messages, replies and search results. To Tweet a new message, just click on the all-important 'Tweet' button and type away. TweetDeck allows you to follow any number of Twitter and Facebook accounts you run in one columned application. The biggest change in recent versions of TweetDeck is that it no longer installs through Adobe AIR, making getting started that little bit faster. 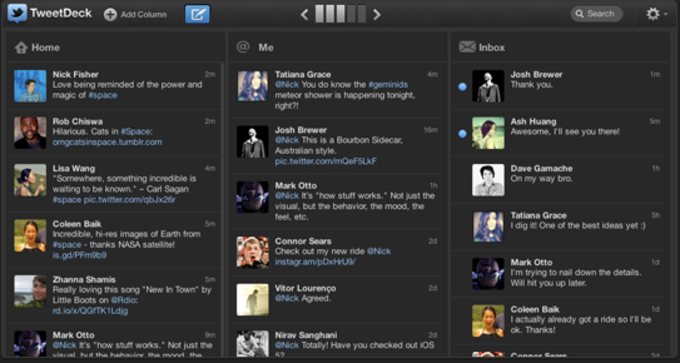 The appearance of TweetDeck is largely unchanged. It's clean and easy to understand, and still probably the best app for using multiple accounts. The default setting features a Home feed of updates from all your accounts together. Then there is the @Me feed, which shows all interactions with you on Twitter or Facebook. 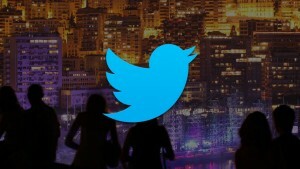 Finally there is an Inbox for Direct Messages in Twitter. You can add to any of these from a selection of things like Lists or Tweets, and remove any of them too. Among its many other features are the possibility to arrange your feeds with customizable columns, focus on specific tweets with powerful filters, schedule tweets and monitor and manage multiple accounts. Of course, it also supports URL shortening. 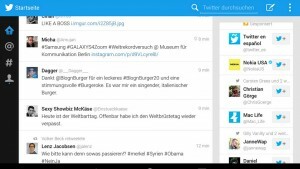 Overall, TweetDeck is a great application for those who like to organize their tweeting in a bigger window or need to manage multiple accounts. What do you think about TweetDeck? Do you recommend it? Why?